Dwight Ross was born in Wichita Falls, Texas in 1960. He graduated from Wichita Falls High School in 1978 and went on to graduate from Texas Tech University in 1982 with a Bachelors degree in Business Administration. He married his wife Sandra in 1988 and together they have 2 children, a daughter Maggie and son Dwight IV. Dwight worked with his father in Wichita Falls at Dwight M. Ross Drilling Co., Inc; a third generation Oil and Gas Company founded in 1932 as Ross Drilling Co. From 1982 to 1993 Dwight was Vice President of drilling & completion operations, land and leasing. In 1986 he formed Ross Imagery Systems, a satellite imagery company which processed raw satellite data into useable imagery for oil and gas interpretations and exploration. In the Oil & Gas Journal, Aug 27 1990, Dwight published an article with David Koger, ‘Remote sensing method works in North Texas producing area’. He has been owner of Dwight M. Ross Drilling Co., Inc from 1993 to present, an operator of small oil and gas exploration projects and an ongoing oil & gas operating company. He formed BRIM Oil & Gas Co.; a mineral acquisition and royalty company purchasing minerals and royalty interests. 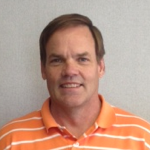 He formed Rig Partners Inc in 2009; a small one rig drilling company operating on the eastern shelf and North Texas. He formed Creed Operating Co. LLC in 2008. He also sits on the Board of Directors for the Texas Alliance of Energy Producers.